Mom might not be her sweetest self when the contractions are the most painful. So being her birth partner might not be that fun all the time. But it may also be one of your most intense and fantastic experiences if the two of you manage to work together. And one of your most important roles so far in life. Just tagging along as the dad is not even near enough. But if dad is engaged, informed and supportive the childbirth can tie you together, helping each other with the birth of your child. Here are some essential tips for dad when you are finally on your way to meet your brand new daughter or son. Dad, you don’t want anything to be a surprise. Make sure you know what to expect. Know what true labor is and be familiar with all the stages of labor. This information will enable you to be more helpful during the childbirth. If you are the reading kind of person, I can highly recommend the book The Birth Partner: A Complete Guide to Childbirth for Dads, Doulas, and All Other Labor Companions. This book will give all details and explanations you may need to really get to know what to expect and how you can support the woman giving birth. 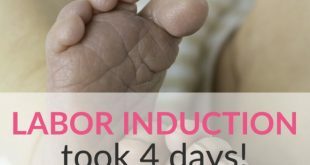 If you prefer video learning, workbooks, and especially if you want to prepare together with your partner, labor & delivery nurse Hilary Erickson has put together an excellent prep course for couples to do together. Check out her course here! (Link to her course homepage). Many people go to the hospital too early, which can be quite demotivating. A few go too late, but that is a lot less common for first-time parents. You take the time from the end of one contraction to the start of the next. Once they get to five minutes apart or less, then it’s about time to think about making the trip to the hospital. A good thing is to call the hospital and discuss with the midwives there. When you should go, of course, also depends on how far you are from the hospital, if there is a risk of traffic jam etc. Labor is different for every woman, but it is quite a job (like a marathon, only you can’t drop out and it is a lot more painful…) and mom may be irritable, terrified, desperate, exhausted, furious… or just focused. You never know what she will and won’t like during this time. If she “bites” your head off or gets irritated with you, don’t take it personally. I know several moms who have yelled things like “Why did you do this to me? I hate you!” and tried to simply leave the room. This says nothing about you or her – it only shows that the labor pain is unbearable for her right now. While a woman is in labor, she is not always able to make good decisions. Know ahead of time what she wants so that you can be her advocate if she needs one. Let the doctors know about her wishes, and do everything possible to keep her comfortable during the childbirth. As dad, it is your duty to keep mom relaxed and focused. Remind her on techniques from the classes you took to help her stay focused. Give her a back rub or foot rub to help her out. Breathe together with her if it helps her. Offer her liquid. Tell her over and over again that she is a hero and that you love her. (If she doesn’t smack your face when you say it, of course.) 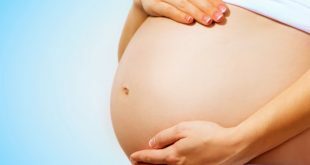 The more relaxed and focused she is, the easier the labor and delivery will be for her. And after your baby has been delivered – don’t believe your part is over! Fair enough, you will be exhausted too. When I met husband, he was already a dad. He told me that the birth of his son had been so exhausting that he (i.e. my husband) had become ill and needed antibiotics. I remember thinking “gosh, this guy is a complete moron – how about his wife!!?” . (We were NOT a couple at that time and by the time we had our first child he was a wonderful birth partner, just so you know.) 🙂 You will be exhausted. But not as bad as your wife. Period. Here are some humorous been-there-done-that tips from dads to dads on how to act (and not) during labor and delivery. The first video is about the Delivery Day – D Day – some things to think about. 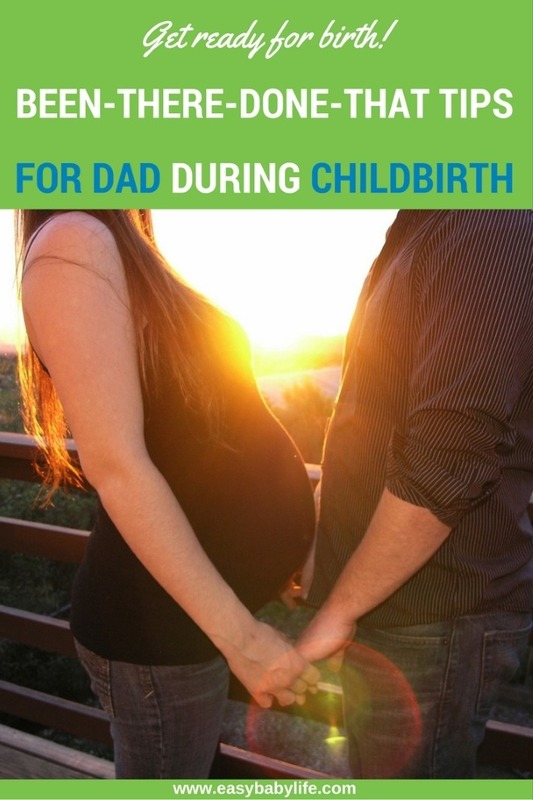 And here are five really useful tips for dad during delivery. These will definitely make you a more popular birth partner! When you are prepared with knowledge and ideas on your role as birth partner, you’ll be better able to take care of mom while she does the hard work. Here are some great resources to help you prepare! Online birth class teaching natural childbirth. It is great class that any pregnant woman should consider. And the birth parter should be involved! There you have it! Now you should definitely have enough tips and resources to help you prepared and be able to be the best birth partner your spouse could ever wish for! Good luck! And if you have any tips or experiences you would like to share on the topic, please leave a comment below!